It’s fairly well established that Instagram gets above average audience engagement for brands out of the social networks, but the favourable conditions attributing to brands’ success on the platform could soon well change. 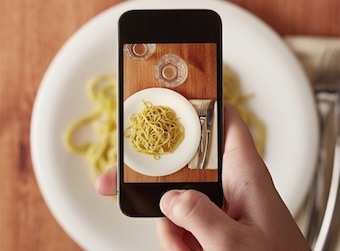 A recent Forrester report headed by analyst Nate Elliott, which surveyed over three million user interactions, urges marketers to make use of Instagram before things change. In measures of user interaction as a percentage of a brands’ ‘fans’ or ‘followers’, Instagram shines through with 4.21% of ‘followers’ engaging with the brand. This is compared to Facebook at 0.07% and Twitter at 0.03%. That equates to 58 times higher engagement per follower on a Facebook post and 120 times more than on Tweets. Instagram, which is owned by Facebook, currently benefits from an uncluttered environment – users are more likely to see a brand’s post than on Facebook or Twitter. There’s a focus purely on the visuals and there are no sidebar ads or multiple browser tabs to deal with. In short, there’s less competition for attention in an Instagram feed than on other platforms. This could all soon change, though, Elliott warns, as an increase in Instagram users might result in the introduction of a Facebook like ‘relevancy’ algorithm that can filter out ‘liked’ pages from a user’s feed. The Forrester report states that “executives admit that as users and brands post on Instagram more frequently, they will look for ways to ‘surface the most relevant content’ for users”.